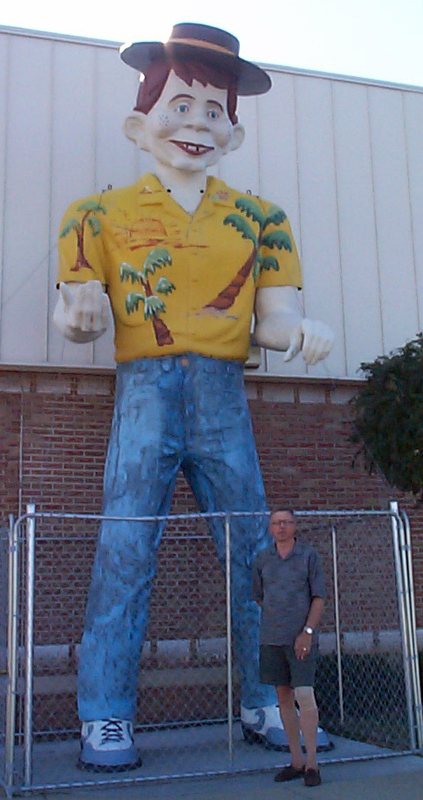 Flint Muffler Man – The Home of My "Big Things"
Here is another Alfred E. Newman derivation Muffler Man near Flint Michigan. He is outside the Bargain Hunter Store on Atherton Rd just west of Dort Highway. He has a nice Hawaiian shirt but can’t get around because he’s fenced in. Thanks to Roadside America for the info.